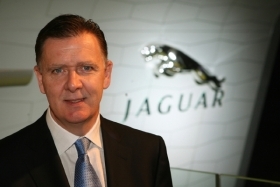 Jaguar Managing Director Mike O'Driscoll will retire from day-to-day operations at Jaguar Land Rover at the end of March 2011, the automaker announced Monday. No successor has been named. "Being part of the team that rebuilt this great brand has been a huge privilege and a gratifying way to sign off my long career with Jaguar,” O'Driscoll, who started his automotive career with Jaguar Rover Triumph in 1975, said in a statement. “The resurgence is symbolized by the wonderful reaction to our new products and to the stunning C-X75 supercar concept we showed at the recent Paris auto show."